Family Lawyer Canton, IL | Brave Law Center, P.C. Legal issues are already stressful enough. However, any conflict that involves your family can cause extreme discomfort. Whether you need help with a divorce, child support, child custody, or spousal maintenance, we can help. Brave Law Center, P.C. 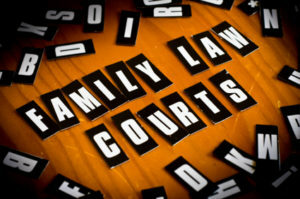 has a family lawyer in Canton, IL who can assist you in getting the outcome you desire. We are a team of compassionate and understanding attorneys who fight for the rights of family members. If you have questions about the specific family law services we offer, call (309) 685-7900 to speak with us. How Do I Change My Support Order? The family law courts will sometimes order a former spouse or parent pay support to children or a spouse, which is known as maintenance. The court will make the order by looking at several factors, including the financial standing of the parties, length of the marriage, number of children, and more. If you are seeking to change your support order, you will need to prove that there was some type of substantial change in one of the factors the court considers. Common changes include the loss of a job, changes in the spouse’s martial status, or time-share of the children. Making these changes can be complicated, so it is crucial that you have the assistance of an experienced family law attorney. If you are trying to find a family lawyer in Canton, IL who can assist you with your family law issue, you need to start by calling our office. Contact Brave Law Center, P.C. and schedule a time to meet with one of our attorneys. We will ask you questions about your case and provide you time to discuss the facts, ask questions, and state concerns you may have. If you wish to move forward, you will sign a client agreement that will list your responsibilities, your attorney’s scope of representation, and a fee agreement. We can then begin to assist you in your family law matter. Are you looking for a knowledgeable family lawyer in Canton, IL? Contact Brave Law Center, P.C. at (309) 685-7900 to schedule your consultation today!